Any good warrior knows the value of having your trusted weapon by your side. The Medieval Cross Sword Frog is ideal for that! 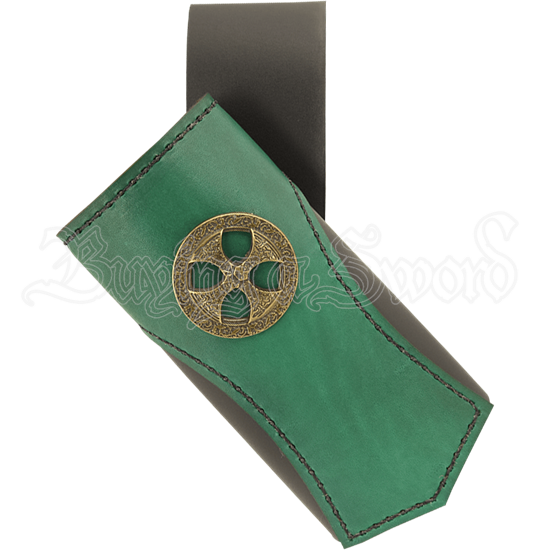 Handmade from high quality leather, this sword frog makes it easy to carry your LARP weapon on your belt. 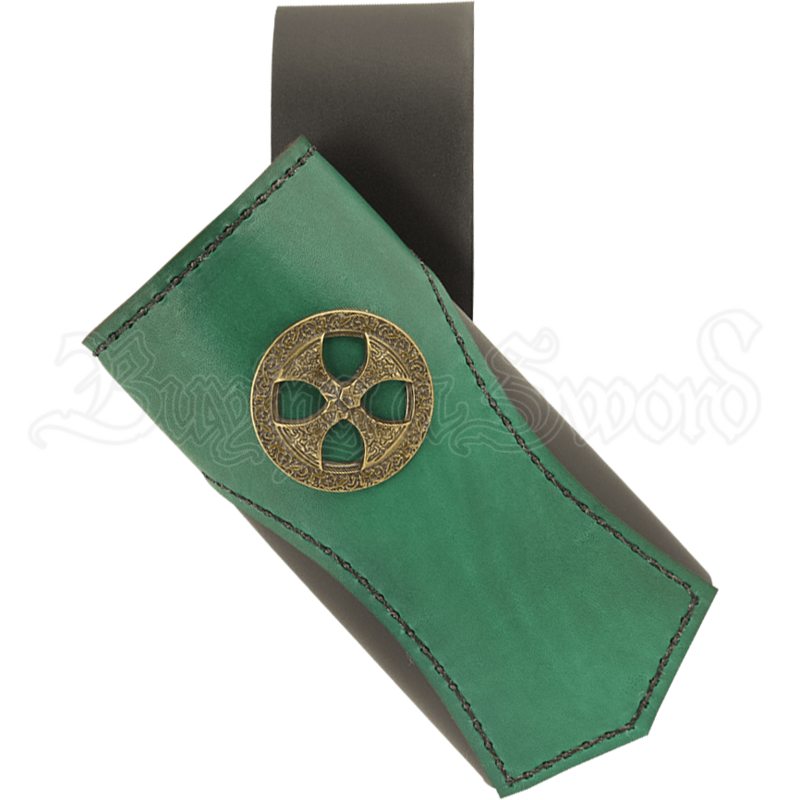 The tube-shaped body of this sword frog is made of soft and sturdy 5/6 ounce leather in your choice of black or brown, and the wide front accent panel is made of 3/4 ounce leather available in a great variety of colors. The antique brass concho on the front has the shape of a medieval cross within a circle. This medieval leather frog can hold LARP axes and daggers, as well as swords. Wear it on belts up to 3 inches wide via the loop on the back, and you will be set for your next adventure.